Jacoby Rogers of Cy-Fair gets some attention from the St. Thomas team. Jordan Maat photo. 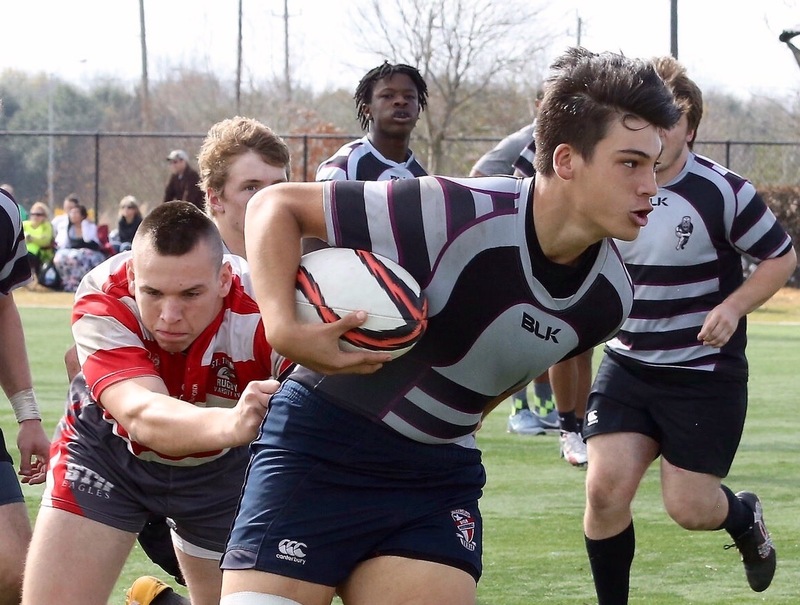 Sixteen boys HS teams got in on the action this past weekend at the Rugby Texas Ruggapalooza. 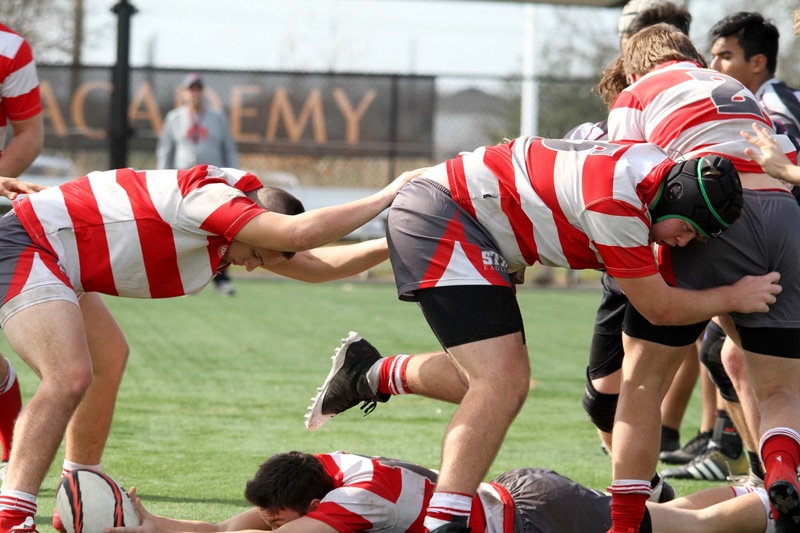 The event featured a series of controlled scrimmages, which allowed the coaches to work with new players, but it was also some serious rugby. 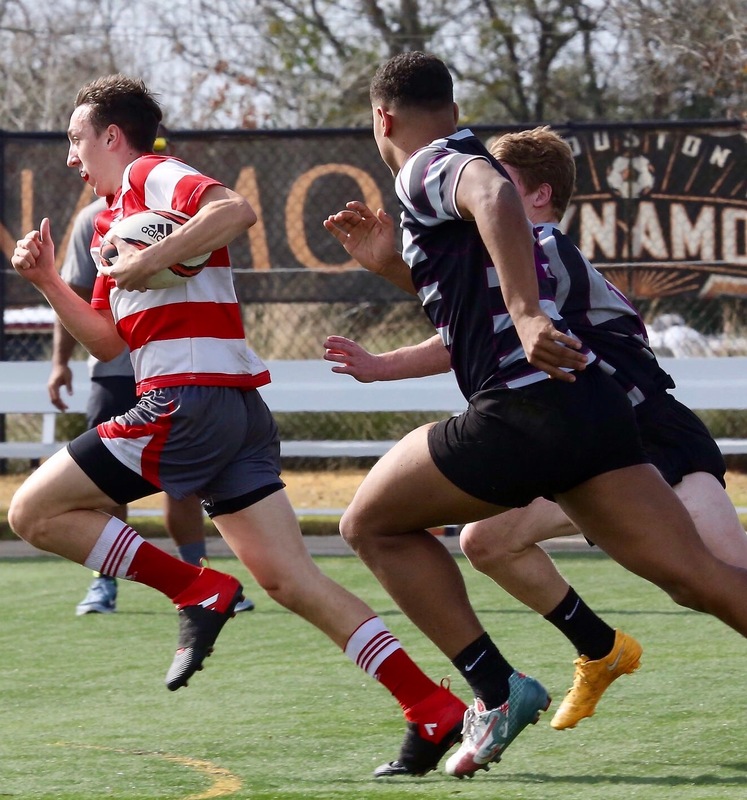 Among the players who had good days were St. Thomas center Griffin Maat, Cy Fair back Keoni Francis, St. Thomas prop Sam Yeboa, Cy-Fair wing Jacoby Rogers, and St. Thomas flyhalf Riley Bishop. Photos by Elizabeth Pardee and Jordan Maat. St. Thomas wins ruck ball. 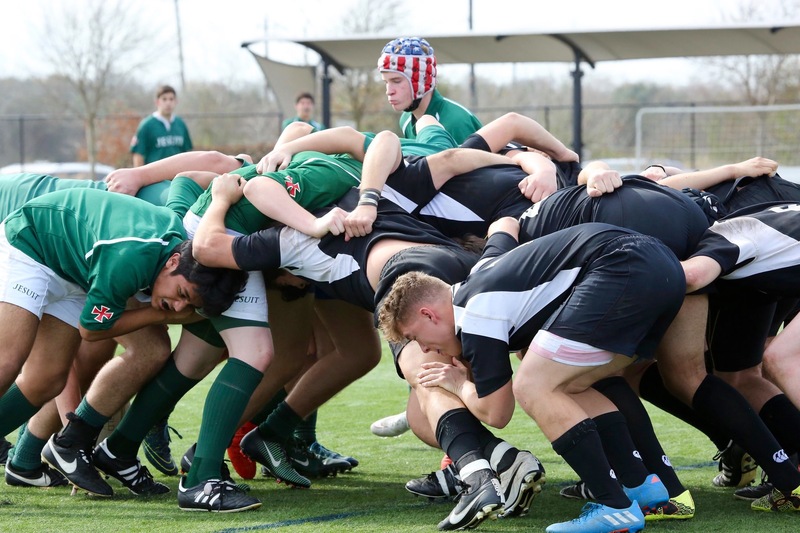 Strake Jesuit, in green, packs down against Four Points.